Get a bigger slice of the pie by differentiating yourself. One of the most common pieces of advice for bloggers is to find a niche that you can dominate — the smaller the niche, the better, because all of the bigger niches are already dominated by bigger blogs. This advice is fine if you’re trying to sell a product to a specific group of potential customers, but if you’re trying to grow a blog with as big a readership as possible, I think niche blogging is dead wrong. Instead, go for as wide an audience as possible — but find something that will differentiate yourself from others. That’s how you can tap into the biggest possible readership. That’s heresy in many blogging circles, but at the risk of not sounding humble, I’ve proven it true with my other blog, Zen Habits. I grew Zen Habits from nothing to more than 100,000 subscribers in two years, in part because I used this principle. While there are many other blogs out there who started around the time I started, or before, I quickly surpassed their (impressive) subscriber numbers because I didn’t limit my potential readership. 2. They didn’t differentiate themselves from the crowd. They were one of many other blogs, writing about the same things with the same angles. These are both fatal mistakes if you want as big a readership as possible. I will use Zen Habits as an example, because it’s the one I know the best, if you’ll forgive me for bragging. While there are bigger blogs than Zen Habits, few grew to 100K subscribers as quickly. One of the decisions I made early on was not to limit myself to a niche, because in doing so, I’d limit my potential audience. Think of your potential audience as a pie. If you are in a niche — let’s say, how to make money from blogging — your pie is only a certain size. There are only so many people who are trying to make money from blogging. And of that pie, you will only get a slice, depending on whether there are other dominant competitors and if you’re really good. But if you narrow your niche — let’s say to making money from Google Adsense while blogging — you now have a smaller pie. And even if you have a bigger slice of that pie, you’re limited by the size of the pie. With Zen Habits, I decided I wasn’t going to limit my pie — I was going to go for as big a pie as possible. The topics I write about — productivity, health and fitness, personal finances, happiness, etc. — appeal to as large a potential audience as possible. Just about everyone is interested in these topics. With such a big pie, even if I only get a small slice, my potential for gaining a large audience is very great. It’s really only limited by how good I am and how many people in that potential audience I can reach. But if you shoot for a general audience, how can you possibly compete against the giants? The simple answer is: you don’t. You can’t compete against the giants, and it would be folly to try. While Zen Habits talks about general topics that are covered by much bigger blogs and websites, I tried to differentiate myself from them in different ways — by writing about simplicity, for example, and providing as much useful information as possible in a concise way (as opposed to rambling in an essay, say). And while many other blogs these days do posts like mine, I was one of the first who talked about simple productivity and finances and health, and today I’m one of the leaders in that field. Don’t try to copy the angle I took with Zen Habits — create your own. Figure out the fresh take and philosophy that will set you apart, that will have you create your own playing field, instead of taking on the giants. So don’t limit the playing field by choosing a narrow niche — choose a wide playing field, but make yourself stand out among all the other players in your own way. It’s a simple recipe for as large a potential readership as possible. There are other important ingredients, of course, but if you start by shattering the myth of blog niches, you’ll really be cooking. Your article was an ere opener, for me! 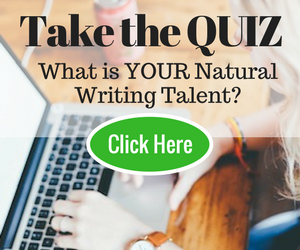 However, with creative ,stand out writing on a few topics , how do you attract advertisers who are naturally, looking for essays on their or their general niche of potential buyers? My original goal in starting my blog was to make the world fall in love with croutons. I ate in a hospital cafeteria early last year. I purchased a salad, and on that salad were croutons. I loved them. I wanted share my discovery with the world. Therefore, I intended to start a blog, the sole focus of which would be croutons. Then, approximately 6.35 months ago, I had a conversation with a person I met while running a personal errand. Long story short,…I am quite pleased to read a well-written post validating the advice given to me by the nice gentleman I met in the alley behind my fourth-favorite Chinese food restaurant on the way to my former teacher’s veterinarian’s dry cleaner. I had a coupon, otherwise I would have gone to my regular dry cleaner. My 1st objective is to develop quality content & focus on 2 niche which i thought is big enough pie. Now after reading all the comment from this post.I guess i’m at the middle of the road. For those who can give a helping hand, please visit ganeshmuthiah.wordpress.com and let me know the niche market i’m targeting. There are very few blog in this area. hi there! thank you so much for this post! i am really having a hard time thinking on the niche thing when i stumble on blogs talking about how important a niche is in your blog, it should be specific and everything. my blog is new so this article is really of great help… you rock! I’ve been focusing on a niche and am widening it now. My interests are diverse: self improvement, travel, self employment, Internet marketing and family life. Surely I can’t be the only person interested in all of these things and if I can appeal to a wider audience maybe I can grow the blog faster. Unless I just confuse people and scare them away of course! Fingers crossed. It’s a learning curve and your helpis invaluable. This is also the initial thought I had when I first started my blog. I didn’t want to create small niche blog either. There’s a great post on problogger about choosing a niche blog vs a niche demographic that helped me. Its also in the ProBlogger book. I loved your article. It had a lot of good suggestions in it. I think I’m just to afraid to choose a niche. I don’t want to limit myself, and I really don’t know which one to pick? Think anyone can help? Right now, I’m calling my blog a ‘variety blog’. I just don’t know what to focus on! Totally shatters the directions I’ve read about focusing on a niche for blogging. I do find it appealing on many levels. Excellent article! This is exactly what I’ve thought ever since I first read the idea of niche blogging. Plus I’m pretty sure I’d get bored of writing about the same topic over and over again…and how long before you’ve said everything you have to say on the matter? I love Chris Guillebeau’s use of the Ocsar Wilde quote: “Be yourself, everyone else is taken.” And I think that applies to craving out your own piece of the pie. Each one of us is unique and has a different take on whatever we talk/write about. Just being yourself seems to me to be the best way to set yourself apart. Though, I started to blog on copywriting – my experiences in copywriting and how I understood from one stage to the next. After reading your article I wonder if my decision was correct. I feel having a wider platform will attract many readers and bring me success. I’m grateful to you for gifting me the the beautiful e-book long back as a Christmas gift! @Monologue Blogger: Though I respect Mary’s opinion, I have to disagree with her and agree with you — Write To Done is a niche blog. Our niche is writers and bloggers — which is a much smaller potential audience than Zen Habits’. WTD will never have the audience ZH has, because we are taking a slice of a smaller pie. My original goal with WTD was just to have a place where I could share some of the things I’ve been learning as a blogger and author. I couldn’t do that on Zen Habits without shrinking my potential audience — people who aren’t interested in writing or blogging would unsubscribe from Zen Habits. So my goal with WTD was different than with Zen Habits, and that’s why I chose to have a niche blog for my second blog. There’s nothing wrong with niches — as long as you realize that you’re limiting your potential growth. Thanks for the many tips Leo. I’ve had my blog up for almost a year now and have hovered around the same number of readers. My blog focuses on sports, issues and opinions so I do appeal to many. It just hasn’t been found. Do you (or anyone else for that matter) have any tips/tricks on how to get my name out there? @Mary Having re-read the post and the comments I have to say that I like your definition of niche vs. focus. It may ultimately just be semantics to my addled brain but it’s still a refreshing outlook on things. Thank you. I wouldn’t say that WTD is a niche. The focus of a niche blog is much much narrower: about goldfish food, for example. Of course Write to Done has a focus – every blog should have a focus, but it’s not a niche. Once you have a million potential readers, you really can’t call it ‘niche’. Isn’t this blog site a niche? Leo! Timely post I should say. More so that I’ve just launched a new blog that has a generally focused topic. Yeah, might do with the differentiation point mentioned here. It is definitely inspiring to see your success at ZenHabits. net and you had shown us some lessons that we can learn to grow our blog readership. Thanks for sharing! Sorry Leo but I’m with Eric on this. Zen Habits is a niche, there is a common theme running through your topics. As Adam is trying to point out, dominate one niche then expand into *similar* niches; e.g mountain bike helmets, mountain bike gloves, mountain bikes and then into BMX biking perhaps. There are unlimited connections to be made between niches if you just look hard enough. Take Amazon. They started with books then cd’s and now look at all the different stuff they’re selling. At best Leo you’ve managed to find the way to capture multiple niches under one umbrella topic (or niche). Thanks for giving us something to chew on. I’ve been saying this for years. Love life, be present and open to inspiration, have something to write about that you love, enjoy work and learning, be authentic, be generous, be passionate and the rest will follow if it’s meant to. My blog is a tapestry embroidered with all my interests, skills, offerings and life experiences. The canvas that holds it together is integrity and authenticity. Only the people who want to, who are meant to, will visit it. I’m on the verge of launching my first blog & have been plagued by nagging concerns about the whole to-niche-or-not-to-niche decision. I’ve felt inundated by bloggers telling me that a niche is the only way to go, but my idea is bigger than any niche I can define. Reading your post has helped validate my “bigger” idea & now I’m more excited than before to get this project going. As an avid reader of blogs, I RSS both types – niche and broad – of blogs. The interesting thing is that the niche ones tend to be professionally-focused, while the ones that cover a broader set of topics and concepts are the ones I read “for fun.” Although I appreciate the targeted info served up by the niche-y business blogs, I truly ENJOY the blogs that cover all kinds of ideas and stories. The fact is that LIFE is not a niche. Each of us has our fingers (and brains and hearts) in MANY different things. For me, a blog should be a reflection of a person’s journey in life … and should, therefore, be multi-faceted by default. Thanks again. Revving my engines & looking forward to the rush of take off! @Mary Jaksch – Mary, I definitely see your point about how writing for a niche is limiting and expanding into different niches can be difficult, but I truly don’t see much difference between “mountain bikers are not really interested in productivity” and having a blog that simply tackles different topics, as Leo pointed out in one of his clarification posts. To take the Zen Habits example, I love a lot of what Leo writes at Zen Habits, but at the same time I also skip a fair bit. I go there for the simple productivity articles, and minimalist living articles, and tend to ignore a lot of the Health & Fitness articles. Not because they’re bad, but because I have a different philosophy regarding health and fitness than Leo, and so choose to get that info elsewhere, and that’s fine. In the same way, someone can choose to read a post about mountain biking and skip the post on productivity (ironically, I would probably read a blog about mountain biking and productivity… but I guess that’s super-niche). I guess what I’m saying is that at some level the difference between “niche” and “topic” becomes semantic. The word niche is useful in a marketing context, but not so much in the context of a blog. For example, some could argue that the Huffington Post started out as a niche blog. It operated in the Political Discourse niche, and then branched out to all things news. That’s probably incorrect, as what’s probably more correct is that it started out with politics as a topic, and then branched out to other topics. So, I guess in a way, I’m agreeing with you, Leo and Eric, who also redefined niche in his comment, and what I really want to say is that the word “niche” is overused in the blogging world. But, again, feel free to disagree! I’ve been fighting this for a while on my site. Most people keep telling me to simply stick to the personal finance stuff, and to forget about writing about writing and blogging. But it’s called The Writer’s Coin: and I love writing. So most of my content is still about money, but I will always continue writing about writing because I’m passionate about it and I know there are people out there who want to read it. I am a beginner at blogging and I am having a blast doing it. I want to write about improving myself and helping others. A holistic healing and universal civilization niche. Improving human nature, individually and collectively. I’m 49 and I’ve been reading about this ever since I could read. Now I am writing about it. My writing is kind of amaturish, I tend to ramble from topic to topic, and my computer science skills are really weak. I just keep plugging along. I built one free practice website, that looks like a warehouse instead of a store. My blog looks ok. I can write a lot of stories about different topics, I just think each story needs to be more focused on one topic. Thank you! Since recently changing my blog, all I was concerned about was, ‘how do I get that niche?’ I didn’t really have nor want a niche in the sense that is was sooo narrow for many of the reasons you mention in this post. I wanted my blog to be inspirational to writers and that was it. Not even as narrow as bloggers or freelance writers – JUST writers and what inspires them. But, everywhere I read about getting blog readers was about that ‘niche’. Then, I saw how successful your blog is and I enjoy it, and I found the inspiration I needed myself! Thank you!! What if you’re using a blog as part of a strategy to establish yourself as the expert in a specific field? I’m so glad to hear someone say this! Yes, if you’re looking to sell a product then by all means secure a niche and research your keywords, etc. But if not, I’ve started to realize your niche can be YOU and the people in that niche are those who enjoy what you have to say. If you write like . . . uh, you . . . and say the things you think in your own way, people will find you. I should clarify myself further … I’m not saying that every blogger should avoid a niche … I’m just trying to expel the myth that niche blogging is necessary, especially if you’re trying for as large an audience as possible. If you are passionate about something that is really a niche topic, that’s totally cool. I’m not saying niche blogging is bad. Anyway, bosses and workplaces are fairly general — it does exclude those who don’t have a boss or a traditional workspace, but the potential audience is still pretty wide. Self-growth is also a pretty wide audience. There are people who aren’t interested in that topic, but I’d say you’re not really limiting yourself to a niche. Great post Leo, but I’m not sure if I’m on the right track or not. My blog for my book is about bosses/workplaces http://www.thebossbenchmark.blogspot.com and my self growth blog covers all aspects of it, but are they both still too niche? http://www.liveknowingthis.blogspot.com would love to hear your thoughts on them. Your Zen Habits was the inspiration for my newest blog. It’s a blog on fitness, but designed for those with a “Twitter” mindset… for quick and concise information. My reason is that once you’ve fixed on a narrow niche, there is not much cross-over into other niches. For example, mountain bikers are not really interested in productivity. As Leo says, a wide approach is good. However, there is the question of focus. For example, at GoodlifeZen, I’m focusing on personal growth and spirituality. That means I’m free to write about just about any topic – as long as I keep my focus. Focus means looking at aspects of life from a particular angle. Keeping your focus will limit your readership slightly – but not as much as staying in a niche. What focus does is to build community. Hmmm… This post you wrote pretty much emphasizes the feeling that I’ve got from Zen Habits lately. It’s not real. Eager for more more more…screw the topic? So true about the niche and finding your own way. I did that when I had IF Life and just focused on what I thought was important….then when myself and Scott combined into LifeSpotlight we initially thought about going very broad and cover A-Z…which we learned was not really what we needed or wanted to do after all….so we scaled back to our core values while still expanding our reach with more articles. I also agree….people like simple to the point as long as you can back it up also with enough solid info (which doesn’t have to be much). As always some very good advice which although goes against what many sites suggest makes a lot of sense. Whilst I agree that differentiating yourself is key to making things work I will also say that your style of writing is a huge reason as to your success. You speak about simplicity and it shows in your writing, every post is easy to read and for me well constructed without over complicating things and that is a huge reason why I and I am sure others constantly return to Zen Habits. I agree and I add that a blog should be about us, not you, not me and certainly not they, but about we (blogger and “reader”?) are going to build together, a dialog of sorts. 1. I’m talking about not having a niche, not about not having topics. You should definitely have topics to talk about, and losing focus is always a concern. *Never* rant about life in general — who wants to read that? 2. It’s definitely more difficult to market to a general audience, but at the same time there are more possibilities. For Zen Habits, I will never run out of potential blogs I could write guest posts for, so I can continue to tap into new audiences who have never heard of me. So there are trade-offs when it comes to marketing. @Eric: I guess you could define “niche” in any way you like. But in the traditional sense of the word, Zen Habits does not have a niche. What you’re describing is the way I differentiated myself, so that I created my own playing field. It’s not a niche, because there isn’t a specific group of readers it’s aimed at — I aim for the general audience, not a specific one. Differentiate yourself — that’s how you can go without a niche but avoid competing with the giants. @ Eric: You make a good point… and I also took this into consideration. Thing is though… many blogs and ‘experts’ out there are adamant about being extremely narrow with the niche. Zenhabits breaks away from that model (delightfully so!). In fact, many articles from ZH are on health and dieting which aren’t necessarily all that similar to simplicity. My own blog, I consider it in the 3rd category that you’ve underscored. Way to go, Leo. No doubt. On my primary blog I’m not selling a thing. I simply try to spin the best yarns I can in about 500 words or so. I was never interested in having a niche there, just fantastic conversation. Thanks for this article. I am finding my own blog plateauing (could just be getting ready for a growth spurt). It’s in a pretty tight niche, which is what my original aim was. And I do have a nice steady (and somewhat slowly growing) readership. But I’m beginning to wonder if I should be trying to open things up a bit. You’ve given me some food for thought. You make some great points here, Leo, but I would say there are 3 categories, not just two. You talk about 1:Having a Niche and 2:Not having a niche. But I would say there’s a middle category which is where zenhabits falls. Let’s take two blogs, one called MakingMoney.com and the other called JohnDoe.com. The one is clearly about making money, while the other is about what John wants to talk about. But something like zenhabits kind of vaguely represents, as you put it, simple productivity. So you may not be in a niche, per say, but are definitely focused on a grouping of similar topics. So I would agree that these days it can be good to leave room for a wider audience, but I think that most blogs, including zenhabits, are still in some kind of niche, whether direct or a bit more wide open. I think if you were to ask someone about zenhabits and a niche, you would hear a lot of people say words like ‘productivity’ and/or ‘simplicity’, but few would say that it’s not in a niche (at least that’s my opinion/assumption). Leo, bravo! You are an authority on what it takes to be successful as a blogger; your success gives you that position. I love your presentation here. You know, I think a lot of the conventional wisdom about the blogosphere is simply wrong, and you demonstrate clearly one such notion that is wrong: You must have a niche to succeed. No, that’s just not true. Thank you for pointing this out. On my own blog, we do mostly humor, but about 25% of our posts are inspiration/personal-development. You’ve convinced me further… that this is the way to go. Yes indeed… don’t limit yourself by a niche… be bigger and better than that. I think this is perfect advice for writers. I think many times people want a formula for success (whether it be in writing or anything) and then they go and duplicate it. I think that is one reason why so many people do not achieve the level of success that they want. The key is to find your own voice and thank you for promoting that concept. People really need to be themselves and write from that perspective. Great article, and yet, as usual when I comment, I have some reservations (where’s the fun in me just agreeing with you?). I think the issue with not picking a niche for your blog and keeping your audience as wide as possible is twofold. Second, creating a blog tailored to a wide audience creates a definite marketing challenge. It is easy to market a blog to a niche, but it is very difficult to market it to everyone. When you market to everyone, you really need to focus on what makes you unique, and convince each distinct person that you have something to offer them. When you’re trying to satisfy so many potential readers, you can often end up diluting your message, and thus making it ineffectual on everyone. If I may be so bold, I think that a better way to go *would* be to start with a niche, and then as you feel that you’re reaching your maximum potential, to expand your pie by adding different niches to your repertoire. Then again, you run one of the top 20 blogs on the internet, so who am I to question?